The family and friends of a Roxbury, Massachusetts, woman who was shot and killed Sunday are demanding answers. 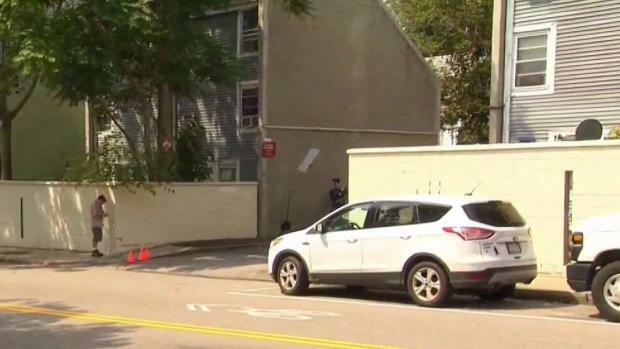 A Roxbury woman was shot and killed Sunday by what family members suspect was a stray bullet, according to the Boston Herald. Nakieka “Kiki” Taylor, 30, was on the patio of her family's home at the Walnut Ave. apartment complex when multiple shots rang out at about 9:40 p.m. and Taylor was hit. She was pronounced dead at Boston Medical Center later that night. Family members say Taylor, who worked as a lifeguard, was a great person with a big smile and an even bigger heart. A woman who says she was one of Taylor's closest friends, is distraught over the shooting and loss of Taylor. The investigation into the death of Nakeika "Kiki" Taylor continues after the 30-year-old was shot in Roxbury on Aug. 20. "I'm still living in that night just stuck in Sunday night. I'm here but lost," she said. "They didn't just take a piece of me they took something away from all of us. I don't know how someone can live with themselves taking someone's life"
Boston Police say the investigation into Taylor's death is ongoing.